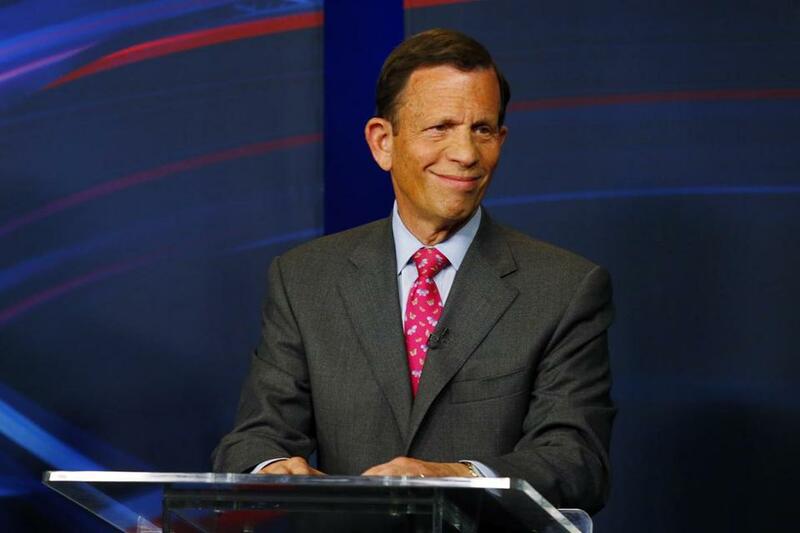 Politician Steve Grossman (above) will run a nonprofit founded by Michael Porter that helps urban areas. When we look back years from now and wonder how this country started to take our problem of income inequality seriously, perhaps we can trace it back to what happened over a dish of M&Ms at Harvard Business School. That’s where then-state treasurer and gubernatorial candidate Steve Grossman found himself in November feeding his sweet tooth in the office of one of the school’s star professors, Michael Porter. Scared because Porter knew Grossman would be his dream candidate and didn’t want him to say no. Years ago, the professor had started a Boston nonprofit called the Initiative for a Competitive Inner City to help urban businesses grow. The group has been looking for a new chief executive, and it dawned on Porter that he might be sharing his M&Ms with a leader who can take the organization to the next level. Porter asked if he’d consider the job. “It was kind of an epiphany,” Grossman recalled. Until then, Grossman had toyed with the idea of teaching entrepreneurship to college kids or going after a couple of high-profile presidencies in town — the Greater Boston Chamber of Commerce or Suffolk University. Nothing felt quite right — until Porter’s opportunity. After spending a month or so immersing himself in the idea, Grossman decided it was a good fit. He starts the $250,000-a-year post in March. Grossman, who turned 69 Tuesday, was looking for a gig where he could have an immediate and lasting effect. Before his stint in public office, Grossman was a small-business owner, the fourth generation to run the family marketing and printing company in Somerville. As treasurer, he championed women and minority entrepreneurs and created a partnership with community banks that spurred thousands of loans to small businesses. When Grossman ran for governor — losing to Martha Coakley in the primary — he positioned himself as the Democrat who best knows how to handle the economy and create jobs. As the chief executive of Porter’s nonprofit, Grossman can continue what he did as treasurer — and what he did not get the chance to do as governor. The nonprofit, started in 1994 and now located in Dudley Square, focuses on helping lift struggling urban areas out of poverty through research and by providing businesses with training and access to capital. The organization also works to get the private sector — the McDonalds, the CVSes, the Bank of Americas — to open storefronts in underserved communities. The Goldman Sachs Foundation and Chevron are the nonprofit’s biggest backers. Porter was an early proponent of fighting income inequality, long before it had become the fashionable cause it is today. His idea is a simple one: Invest in the inner cities — defined as communities with a poverty rate of 20 percent or higher — and you’ll see dividends in the rest of the economy. Distressed urban neighborhoods, according to his nonprofit, account for 15 percent of US unemployment, nearly a quarter of the US poverty, and more than a third of minority poverty. Porter said he is proud of his nonprofit, which has helped create more than 133,000 jobs and raised more than $1.2 billion in capital to lend to nearly 700 entrepreneurs. The group is also known for its annual “Inner City 100” list, which honors the country’s fastest-growing urban firms. But Porter wanted to expand the organization and find a leader who could make the nonprofit’s mission part of the national agenda in the 2016 presidential race. In Grossman, Porter found someone with not only business acumen but the political connections to do just that: Grossman also was chairman of the Democratic National Committee. Porter and Grossman think they have the answer, and now want everyone to start paying attention.